The National Capital Area Chapter's next meeting will be held on Saturday March 9, 2019. 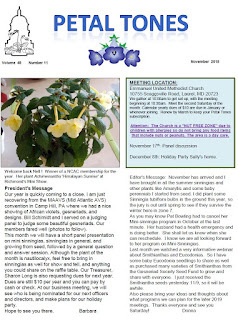 The March issue of Petal Tones has been emailed to members. The National Capital Area Chapter's January meeting will be held on Saturday January 12, 2019. Please note we will be starting 30 mins early in light of the snow expected later in the day. .
Plant of the month: Sinningia carangolensis. 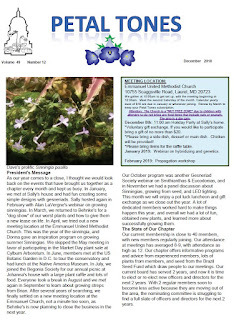 The January issue of Petal Tones has been emailed to members.